What is Video Image Smoke Detection? 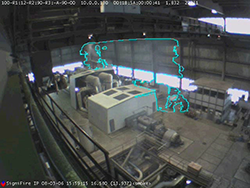 Video image smoke and fire detection (VISD) consists of a digital video camera coupled with a computer running video analytic software which can recognize smoke and fire in the image. 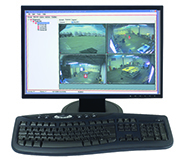 VISD systems can monitor large volumes to look for visible indications of a fire. What Does the Fire Alarm Code Say About Using VISD? 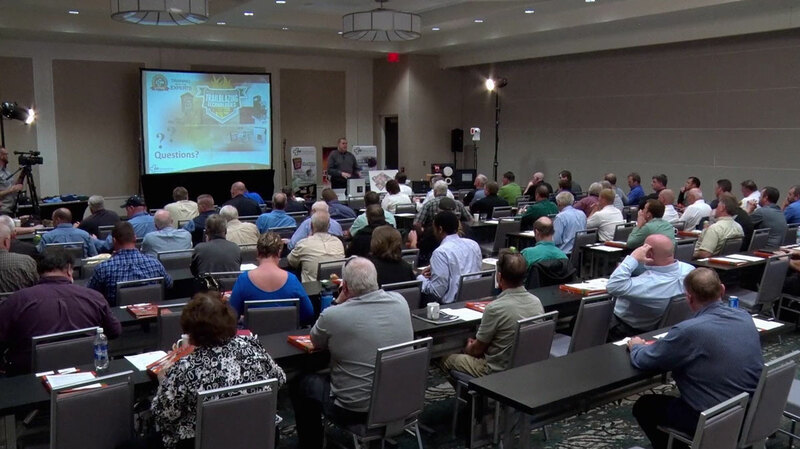 NFPA 72 recognizes both video image smoke and flame detection. System hardware and software components must be UL listed as a smoke detector. It must be installed under a performance based design. Refer to manufacturer's installation and performance information to achieve an engineered design based on the specific product being applied to the protected space . Systems must be secured from unauthorized changes. What are the Most Common Applications for VISD? Using this technology makes the most sense in large volume spaces, typically with a minimum ceiling height of 15 feet. It’s also typically applied when protecting high value assets, whether it’s a process, a piece of equipment that's expensive or some sort of space that has a high value per square foot and must be monitored via video. VISD can be used to protect testing equipment and processes like dynamometers where they can be programmed to release CO2 when smoke or fire is detected. Special protective housings allow us to put these cameras in corrosive, chemical or explosive environments. Heated camera housings can be used for very cold environments. Also Read: Answers to the Eight Most Common Qestions About Video Smoke Detection. Most of the systems available on the marketplace today use a central processor type arrangement where they use standard digital video cameras networked together in a group and bring their images into a computer (also known as a digital signal processor) with video analytic software. The digital images from the cameras come into the computer where it determines if the images have any visible indications of the fire. If the computers conclude the visual signature of smoke or fire is present, information is sent through a connection to the fire alarm system. They utilize a volume detection technique as opposed to an area detection technique like what spot smoke detectors may use. Through the use of different types of lenses, these cameras are capable of monitoring vast spaces or be honed in to target specific areas. These camera systems analyze each frame of video multiple times per second, which makes them very early warning detection devices with detection speeds rivaling air sampling. They constantly analyze the data coming in from the video camera system to detect smoke. The cameras look at each pixel in the image over time and as the image becomes less crisp and sections of pixels become fuzzy, it further processes the images to look for movement of those fuzzy pixels in a way it recognizes to be smoke. VISD systems are trained on thousands of fires at the manufacturer's testing facility before they are made available to the marketplace. They’re trained on fires, both smoky and flaming until they “understand” the pixel signature of smoke. It’s slightly different for fire. Again, the camera is analyzing those pixels for change over time and they're looking for pixels that become brighter or have a change in luminosity. Once the camera system sees pixels that become brighter, it starts to process further for the flicker rate. Since it's been trained on thousands of fires, it knows what the flicker rate of a fire looks like. 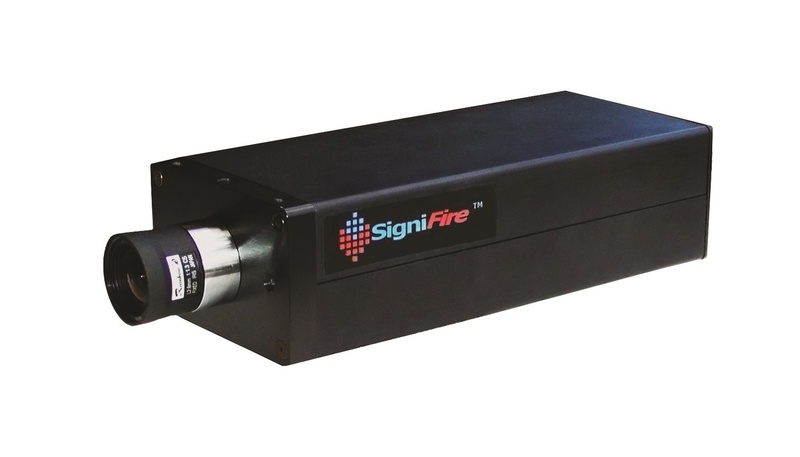 When it sees pixels that get brighter and have the correct flicker rate over a certain amount of time, it identifies it as fire and locks in sending a latching alarm to our fire alarm panel. What are the Advantages of Using a VISD System?